EQ Anti Age Collagen is a ground-breaking collagen product with the added ingredients Matcha Green Tea and Sea-buckthorn (Hippophae rhamnoides). 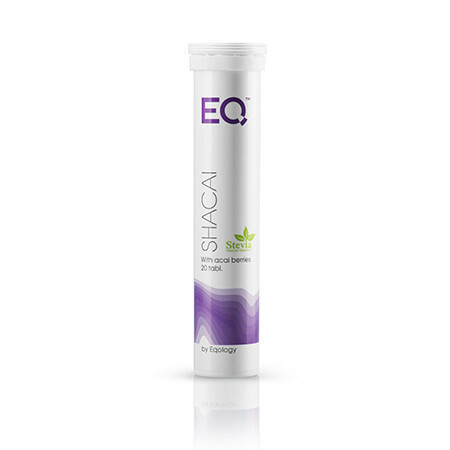 EQ Anti Age Collagen has a unique combination of peptides, amino acids, and vitamins. Give your skin what it needs – from within! Anti Age Collagen is an exciting collagen product with the added ingredients Matcha Green Tea and Sea-buckthorn (Hippophae rhamnoides). 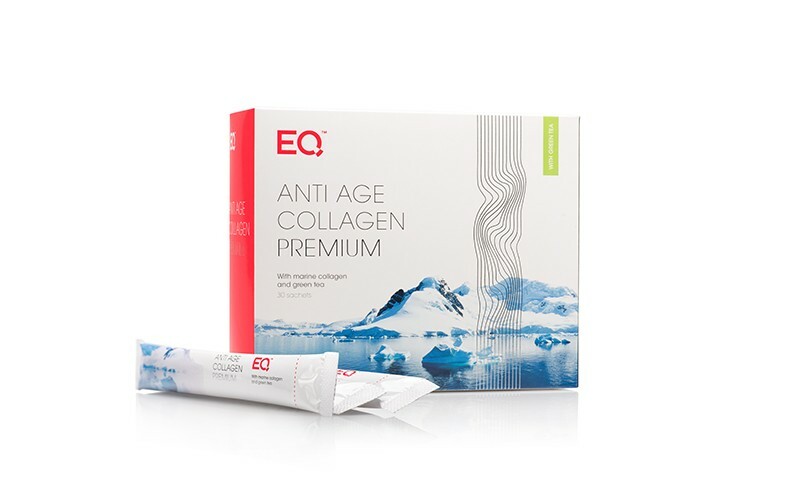 EQ Anti Age Collagen has a unique combination of peptides, amino acids, and vitamins. 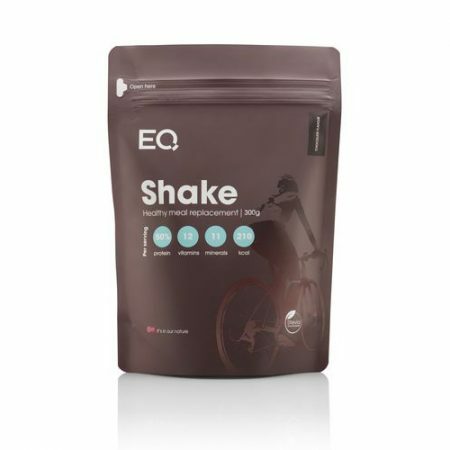 What makes EQ Anti Age Collagen stand out is the low molecular weight collagen that makes it so much easier for the body to absorb this special protein. 70 – 80 % of the skin’s dry weight comprises naturally of collagen. As we age, our skin loses a lot of it’s original collagen and wrinkles are formed. Hydrolyzed collagen molecules are broken down to smaller parts and have a high bioavailability (up to 95 %). Matsuda et. al. found in 2006 that ingesting hydrolyzed collagen can stimulate the production of the skin’s own collagen. There are also other studies that support Matsuda’s findings. Among others, a clinical study done in 2008 where 22 participants ingested Peptan (which contains hydrolyzed collagen). After 12 weeks the depth of the participants’ wrinkles had been reduced by 24 % compared to those in the placebo control group. Some of the participants also reported an improvement in their skin’s color (32 %) and elasticity (45 %). Also the skin’s moisture has been proven to have increased after ingesting hydrolyzed collagen. In addition to the Peptan Study, this has been proven by Morganti (1987). All of 68 % of the participants in this study reported to have less dry skin. Our skin does not only reflect what we expose it to, but also what our genes determine and what we choose to eat so as to provide the best prerequisites for healthy and energetic skin. Collagen is the protein that the primary support structure of the skin is comprised of. It provides the skin with strength and elasticity and it has the unique capability to retain moisture. Sea-buckthorn contains large amounts of vitamin C and various types of vitamin B: B1, B2, B3, B5, B6, B12 and vitamins A, E and K, 7 different flavonoids, caroten, folic acid, as well as minerals and trace elements such as phosphorus, potassium, calcium, copper, manganese, magnesium, sodium, iron and zinc. Sea-buckthorn oil is very much like the natural skin oils, and it is believed that the good effect it has on the skin is because of it’s large amount of unsaturated fatty acids, palmitoleic acid, provitamin A and vitamin E. The fruit also has an antibacterial and circulation-increasing effect. Green tea has an abundance of polyfenols, which are strong antioxidants, and in addition to many other health benefits help to prevent the early aging of the skin through oxidative stress. Matcha is a Japanese green tea, which is ground to a powder and thus retains the nutrients from the entire tea leaf insted of just the usual green tea extract. Matcha is prepared from the leaves of the tea bush Camellia sinensis, and what makes this green tea so special is both the origin and method of preparing it. The different ways the green tea leaves are treated are a crucial part of determining the quality of the tea. 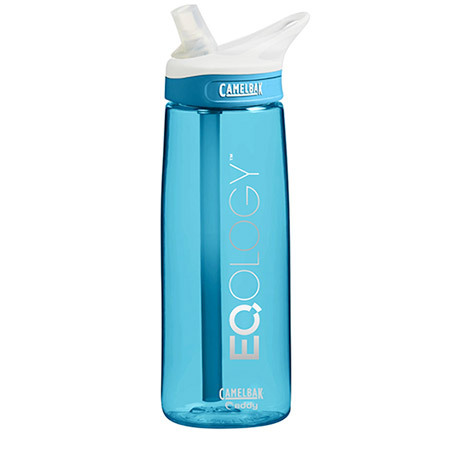 EQ Anti Age Collagen is now even easier to mix into tea/coffee, soups, yoghurt etc. Recommended daily dose: 1 sachet. Allergen warnings: The product contains protein from fish and shellfish. Our new EQ Anti Age Collagen is now even easier to blend, and we recommend mixing it into tea/coffee, soups, yoghurt, etc. The main ingredient in EQ Anti Age Collagen is collagen from fish, an entirely natural product. Store sealed in a dry place, 15-25 °C, keep out of the reach of children.